A chilled out day of skating today, despite the heat. The orginal plan was for no skating today. I figured I would take the day to update the blog and perhaps put together some more video footage, but when I visited the internet cafe at 8am, they told me that they were told again today not to offer any internet access. No worries however, and I quickly got everything together and pushed on for a short skate to the next big town, Xixia, where I hoped internet access would be allowed. 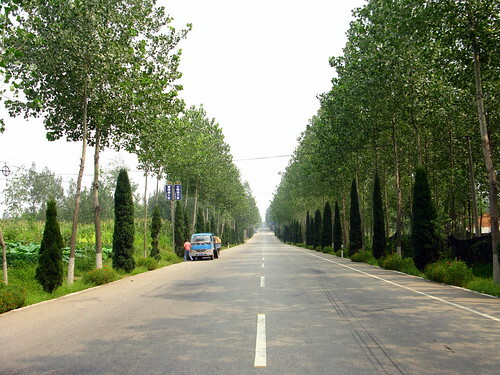 The highlight for the day was entering Henan Province. This means that only two more provinces are between me and Shanghai. Exciting! 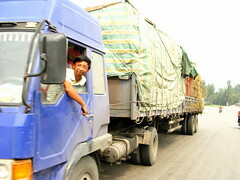 Heavy truck traffic, as always, was the main traffic along this route today. 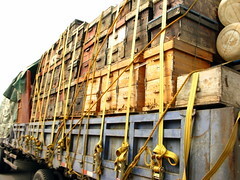 This included my nemisis, the bee-hive transport trucks. What is up with this time of year?! The truck traffic all but disappeared however in the latter part of the day. 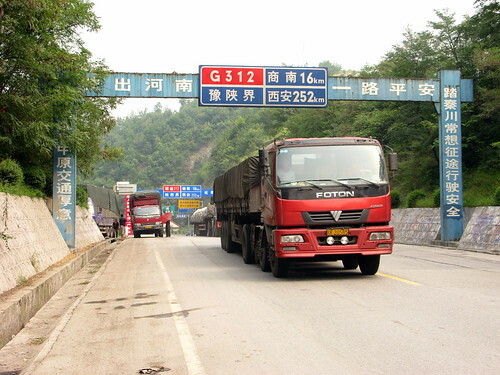 Expressway G40 is open from near the border with Henan, and takes most of the heavy truck traffic off the smaller G312 highway. I was left with small car traffic and lots of motorbikes. Lovely. I pushed on in somewhat of a chilled out daze to Xixia, a city of much larger proportions than the small dot on my map indicated. Thankfully, the no internet restrictions were not in force here, and I was able to start the updating process. All going well, I’ll have a new video out soon. Looks like the air quality is fading on you from the color of the sunlight, especially in the last photo here.